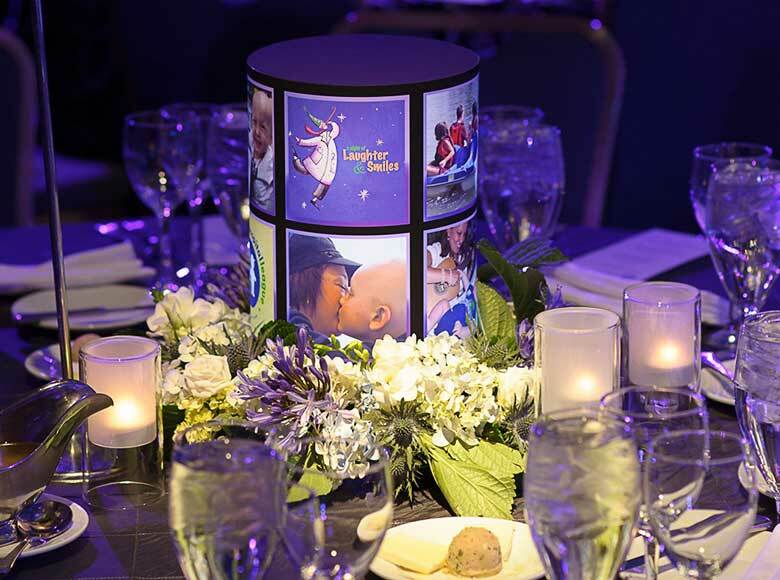 As shown on a previous post, this centerpiece highlights the effectiveness of combining flowers with our lit elements. The organic softness of floral elements and our internally lit cylinder complemented each other perfectly. This combination is an option for more traditional event decor where guests are expecting some florals at the table.